Qantas Frequent Flyer members will earn the following Qantas Points when they join Power Living: 1,000 for a 6 month pass; 1,500 for direct debit flexi membership with 3 month minimum commitment or a 12 month pass – these offers are not available online. Qantas Frequent Flyer members can earn 1,500 Qantas Points when joining YOGAHOLICS for 12 months. Offers only available to new members. To earn Qantas Points with Power Living and YOGAHOLICS, the email address saved in your Qantas Frequent Flyer account must be used when joining. 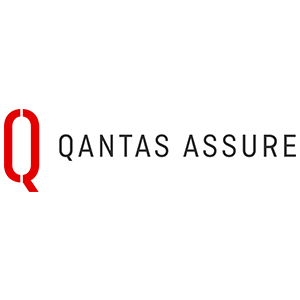 Qantas Points will be credited to your Qantas Frequent Flyer account within 60 days of joining. Disclaimer: Qantas Frequent Flyer members will earn the following Qantas Points when they join Power Living: 1,000 for a 6 month pass; 1,500 for direct debit membership with 3 month minimum commitment or a 12 month pass – these offers are not available online. Qantas Frequent Flyer members can earn 1,500 Qantas Points when joining YOGAHOLICS for 12 months. Offers only available to new members. To earn Qantas Points with Power Living and YOGAHOLICS, the email address saved in your Qantas Frequent Flyer account must be used when joining. Qantas Points will be credited to your Qantas Frequent Flyer account within 60 days of joining. Aquabumps is a fine art gallery and lifestyle brand built on one beating heart for all things sea side. Their founder and sole photographer – Eugene Tan travels the world – capturing the best of ocean side from the Amalfi Coast to Rio, New Zealand, California and our home Bondi. Shot from above in helicopters and below the ocean – it’s the unique angles that make Aquabumps fine artwork the perfect accompaniment to those with an affinity for the sea. Conscious Club were one of our first affiliate partners. The Club is all about creating conscious community through the medium of what they refer to as ‘enlighter-tainment’. Each Conscious Club evening weaves together entertainment of all genres, including: live music, films providing insight into the human condition, knowledge presentations from some of the world’s thought leaders, and the rare opportunity to be in the presence of hundreds of meditating minds. Power Living proudly supports these events and the conscious movement that Conscious Club is creating. Soul Sessions is a personal and business development company empowering people to create lives that they can’t wait to wake up for. As an organisation it believes in more love, connection, freedom and ‘good-life’ abundance for all. Its sole (soul) purpose is to help us transform what feels impossible into the possible, using science and research-based knowledge, tools and strategies taught in events and ‘good-life’ programs. By 2025, its vision is to be a collective of 1 million people, each committed to his or her own conscious creation of a big, awesome and love-fuelled life. We’re excited to be part of this!